Livingston is also known as: Park County / Livingston city. Zip codes in the city: 59047. Park County funeral flowers can be purchased from one of the local funeral shops we partner with. Some of the notable people born here have been: Torey Hayden (screenwriter). It was revealed on December 1st, 2018 that Neal James Lynch passed on in Livingston, Montana. Lynch was 82 years old and was born in St Paul, NE. Send flowers to express your sorrow and honor Neal James's life. It was written by The Mail Tribune on September 16th, 2018 that Burton Charles Jensen died in Medford, Oregon. Jensen was 92 years old and was born in Livingston, MT. Send flowers to share your condolences and honor Burton Charles's life. It was reported by The Herald on September 15th, 2018 that Harold Keith McCurdy died in Washington. McCurdy was 40 years old and was born in Livingston, MT. Send flowers to express your sympathy and honor Harold Keith's life. It was disclosed by Skagit Valley Herald on June 3rd, 2018 that Calvin Leo "Cal" Tinsley passed on in Mount Vernon, Washington. Tinsley was 78 years old and was born in Livingston, MT. Send flowers to express your sympathy and honor Calvin Leo "Cal"'s life. It was written on May 15th, 2018 that Margaret Ruth "Margot" Kidder passed on in Livingston, Montana. Kidder was 69 years old and was born in Yellowknife, . Send flowers to share your condolences and honor Margaret Ruth "Margot"'s life. It was disclosed on April 25th, 2018 that John Edward Jansma passed away in Livingston, Montana. Jansma was 78 years old. Send flowers to express your sorrow and honor John Edward's life. It was noted by San Diego Union-Tribune on January 3rd, 2018 that William G "Bill" Stryker passed on in San Marcos, California. Stryker was 99 years old and was born in Livingston, MT. Send flowers to share your condolences and honor William G "Bill"'s life. It was reported on December 2nd, 2017 that Sally L McKiernan perished in Livingston, Montana. McKiernan was 63 years old. Send flowers to share your condolences and honor Sally L's life. It was reported by Orange County Register on November 22nd, 2017 that Freda Adelia Sullivan (Fleming) perished in Mission Viejo, California. Ms. Sullivan was 97 years old and was born in Livingston, MT. Send flowers to share your condolences and honor Freda Adelia's life. It was reported on August 1st, 2017 that John Calvin Phariss passed away in Livingston, Montana. Phariss was 91 years old. Send flowers to express your sorrow and honor John Calvin's life. Livingston is situated on the Yellowstone River where it bends from north to east toward Billings, Montana, and in proximity to Interstate Highway Interstate 90 In 1806 Captain William Clark (explorer) Clark of the Lewis and Clark Expedition camped on the town's present outskirts returning east prior to rejoining the Lewis party. The population was 6,851 at the 2000 United States Census census. Recently, the town has invested much time and money into creating attractions and accommodations for tourists visiting during the Lewis and Clark bicentennial years. File:DanBaileysFlyShopLivingstonMT.jpg Bailey's Fly Shop in Livingston. Its economy is booming, the unemployment rate is well below the national and state average. 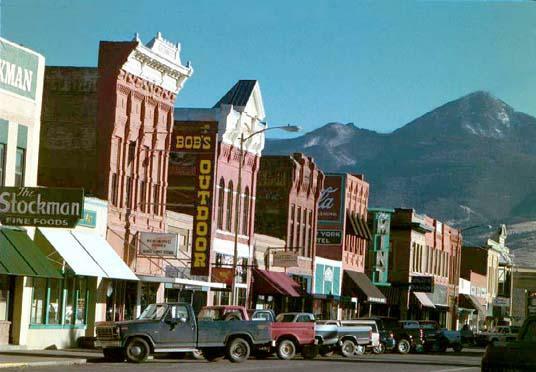 The official website for the city of Livingston is http://www.livingstonmontana.org. He was a 16-year official for the Montana Officials Association ... Butch then married Edith Rom of Livingston in 1975. They had four children together. Edith passed away in 2006. He enjoyed coaching the Rounders baseball team, fishing, and hunting. Find BBB Accredited Funeral Services near Livingston, MT - your guide to trusted Livingston, MT Funeral Services, recommended and BBB Accredited businesses. Find a Funeral Home inLivingston, Montana MT to provide the caring burial and ceremonial services your family deserves.